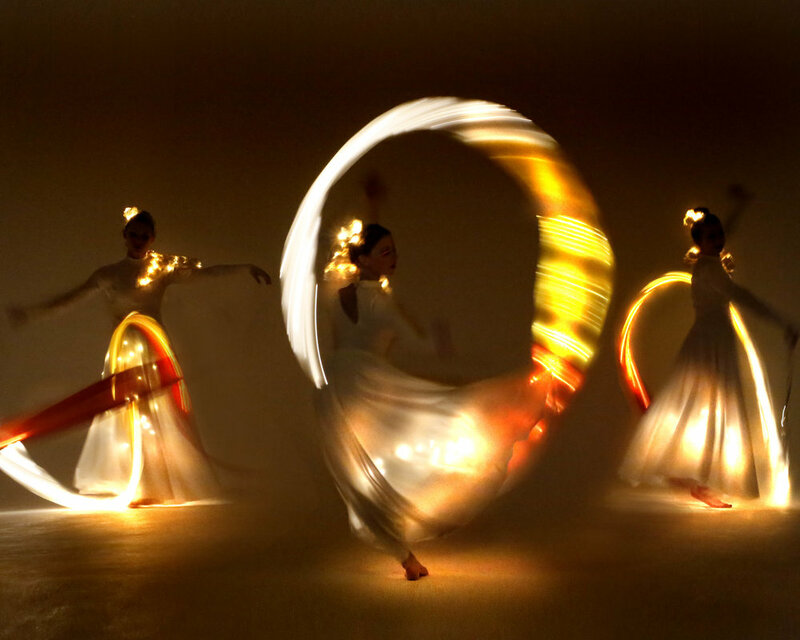 Mesmerising ribbon dancer performance, shown here in white. A full spectrum of colour choices is available, both for the dresses and the ribbons. 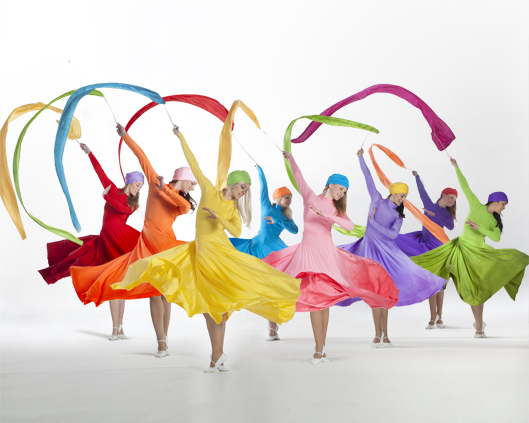 The combination of ribbon dance, rhythmic gymnastics and such a wide range of costumes, make this endlessly variable, striking and, of course, absolutely beautiful. Cutting edge entertainment for anyone seeking dancers for hire, gorgeous as a winter act but also perfect for product launch entertainment. The clean simplicity of the look is its strength.